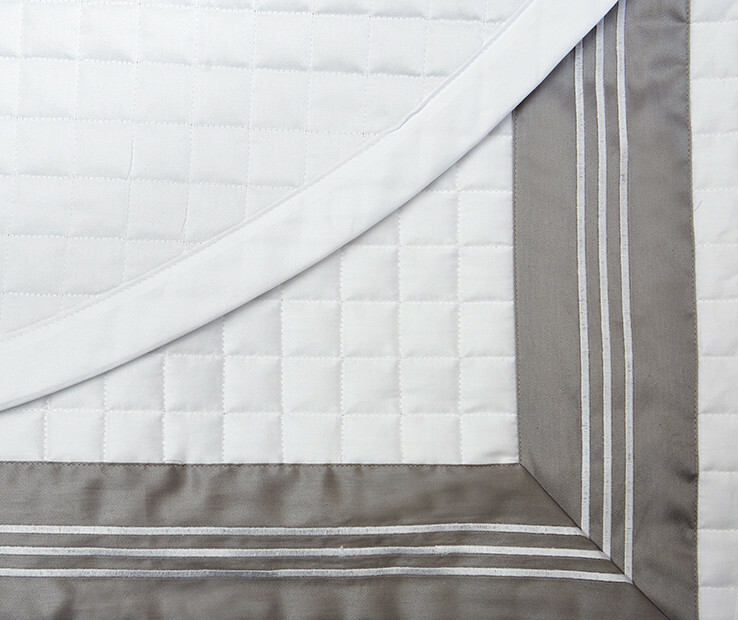 The Cascina quilted coverlet revisits the iconic Masaccio quilt providing a perfect combination to lend the bed a clean and unique look. 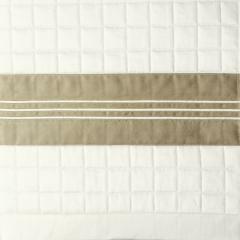 The applied border with three thin embroidered lines forms a U on the coverlet and makes it extremely elegant, an authentic Made in Italy bed linen. 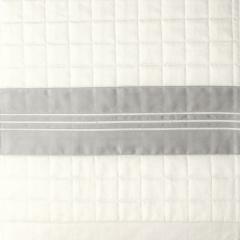 These bedspreads are made with soft cotton 300 t.c. 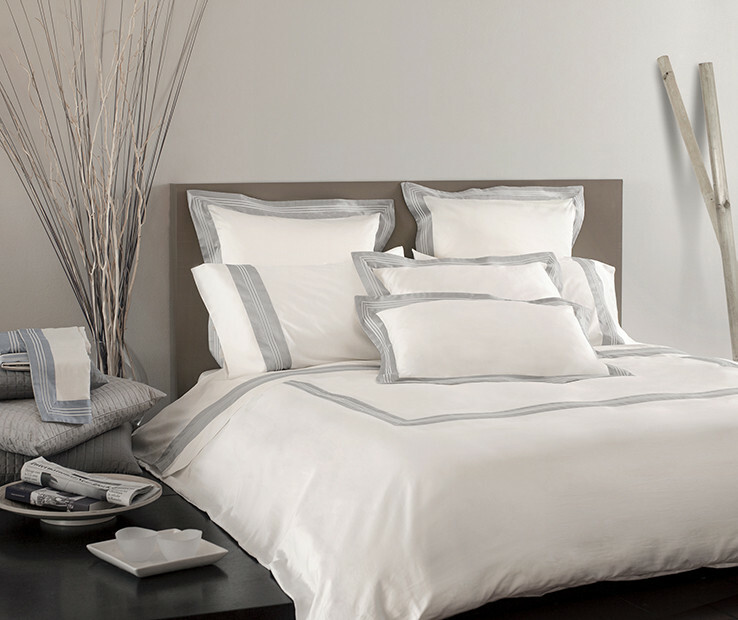 sateen and are available in different elegant color combinations to be coordinated with any decòr. 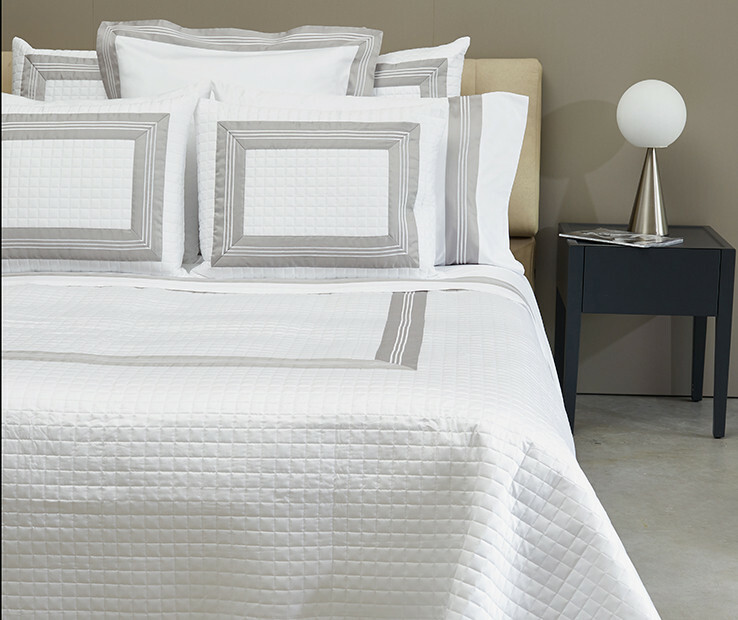 80 gr/sqm polyester filling, Cascina reverses to cotton percale in the same color of the top side. Available in Twin, Queen and King sizes. 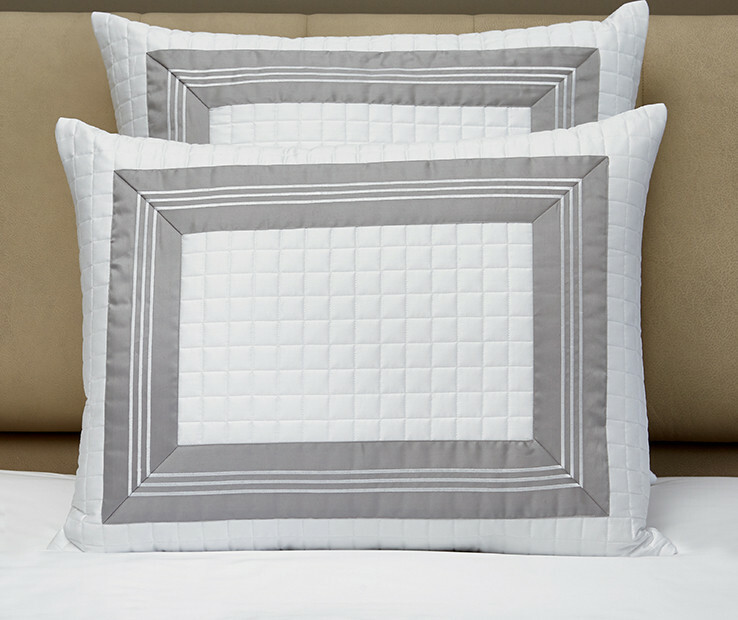 The Cascina quilted decorative pillow sham revisits the iconic Masaccio collection providing a perfect combination to lend the bed a clean and unique look. 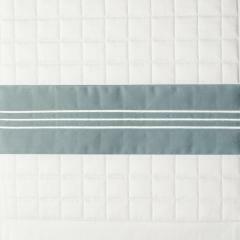 The applied border with three thin embroidered lines forms a frame on the sham and makes it extremely elegant, an authentic Made in Italy. 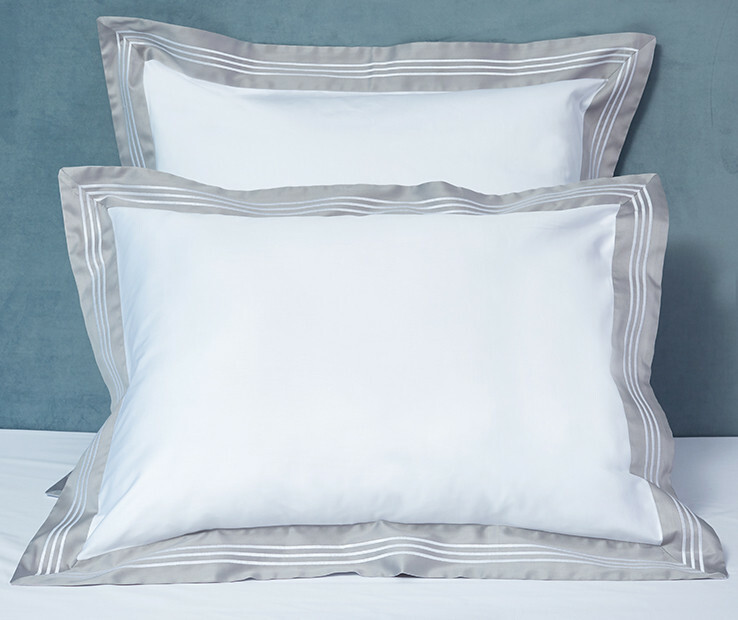 The Cascina decorative pillow sham is made with soft cotton 300 t.c. 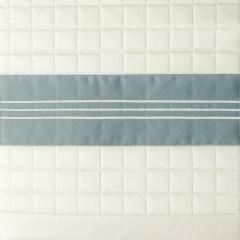 sateen and is available in different elegant color combinations to be coordinated with any decòr. 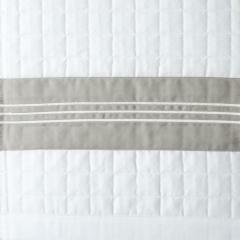 80 gr/sqm polyester filling, zipper closure. 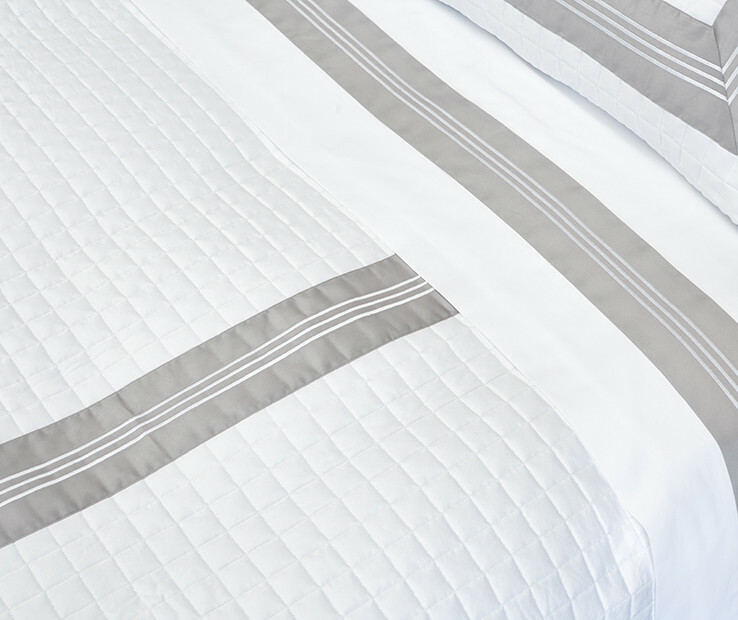 Available in Standard, Euro and King sizes.